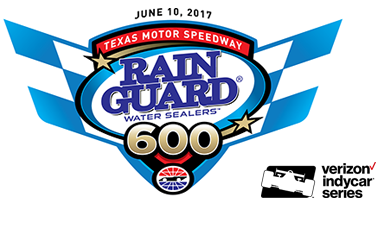 FORT WORTH, Texas (Saturday, June 10, 2017) – Will Power survived a Wild West night of racing at Texas Motor Speedway to win the Rainguard Water Sealers 600 and join a pair of greats on the all-time Indy car victory list. The Team Penske driver won the incident-filled race on the 1.5-mile oval, taking the checkered flag in the No. 12 Verizon Chevrolet under caution ahead of second-place Tony Kanaan in the No. 10 NTT Data Honda from Chip Ganassi Racing. The victory is the 31st in Indy cars for the 36-year-old Australian, tying him with Dario Franchitti and Paul Tracy for ninth all time. It is also his second win this season and second at Texas Motor Speedway. The frenetic Verizon IndyCar Series race featured 23 lead changes among seven drivers, though Power led a race-high 180 of the 248 laps. He won under the last of nine caution periods after four cars – including Takuma Sato and Scott Dixon battling for second place right behind Power – were involved in a crash in Turn 1 on Lap 244. Power’s win is the ninth at Texas Motor Speedway for Team Penske and the legendary team’s record 191st victory in Indy car history.